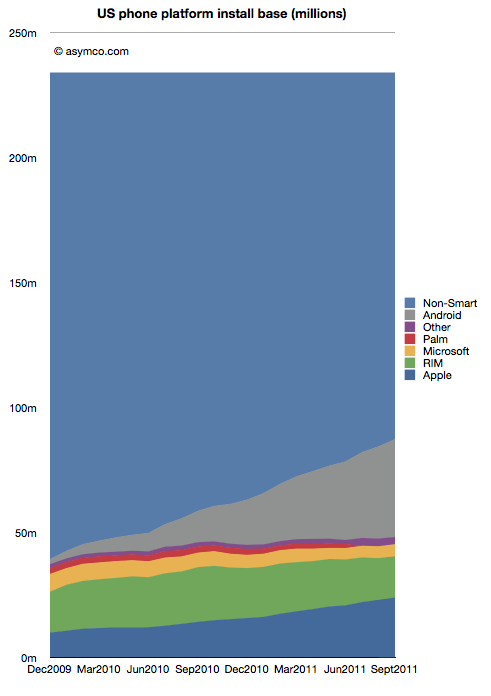 Some interesting data on Mobile phone market share and areas of growth. This has particular relevance to Microsoft. One would have to think that the huge amount of untapped market share are people that probably shop by price rather than features. With that market currently owned by Android – Microsoft may be faced with undercutting Android. It seems like a tough task to try to compete with Android on price – but it they want to be a player they may have to. I am skeptical Microsoft can succeed with gaining significant market share – it shall be interesting to watch.